It is our mission to be the best champions of Chabad students. At MEF, we have an uncompromising focus on student success. We accomplish this goal by working through Chabad schools, and empowering effective educational leadership, staff and lay leaders. By building the capacity of future principals and leaders, we can ensure better educational outcomes for years to come. We train and mentor young teachers in the skills they need to directly impact student achievement. We engage parents, lay leaders, and other educational stakeholders, to create an active and caring learning community where everyone gains. Setting and implementing rigorous educational standards and curriculums improves the quality of instruction for every student. What Have We Accomplished to Date? 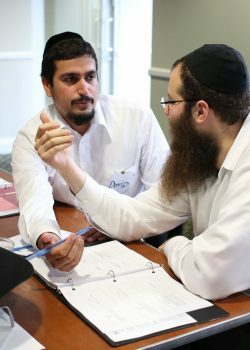 For nearly a decade, MEF has helped educators, schools and the greater community deliver the highest quality education to their students by establishing a culture of excellence in Chabad schools. We are proud to have become the voice of parents and educators in advocating for the positive educational experience that all children deserve.